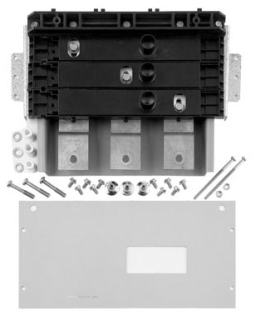 GE Industrial Pro-Stock™ 3-Phase 3-Pole main or sub-feed circuit breaker kit has a current rating of 400-Amps, interrupt rating of 22-Kilo-Amps and voltage rating of 208/120-Volts AC. It features TJD frame. It is suitable for use with Pro-Stock™ AQU3 interior panelboards.